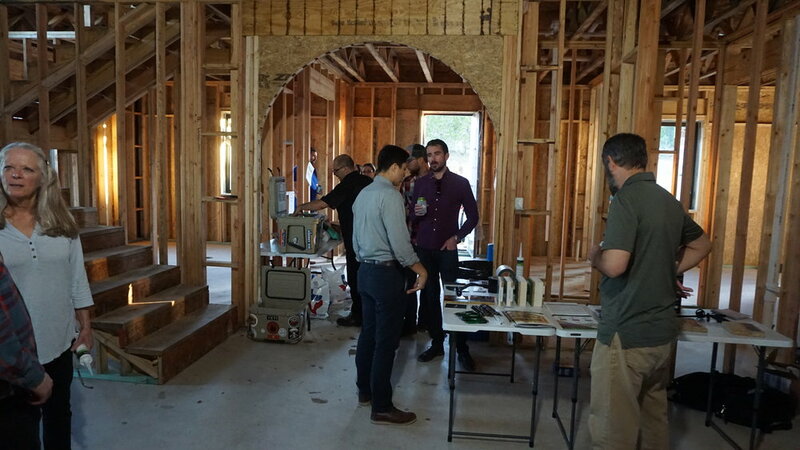 Passive House Austin threw a happy hour at Board Member Mark Larson's (from Built Green Texas) home. The house is framed in and aiming for PHIUS certified status! 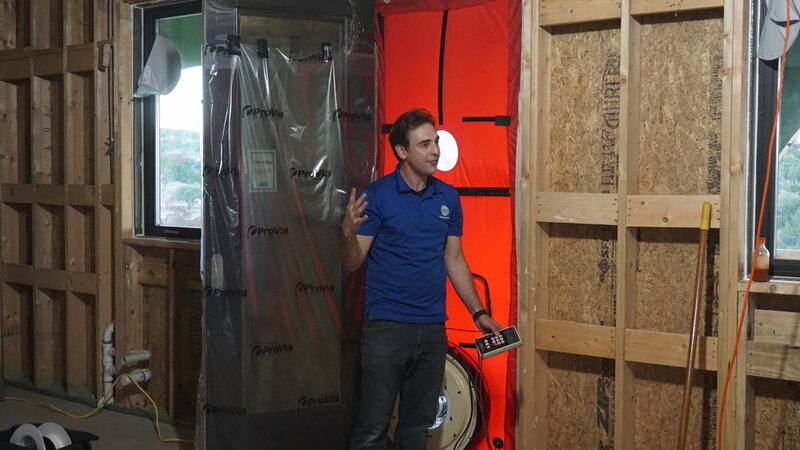 Sean from IAQ Texas and Positive Energy demonstrated blower door and duct leakage tests, giving us the basis for a discussion about air sealing issues and other challenges in the construction process. We had 42 folks show up, which is great considering it was quite the drive from downtown! 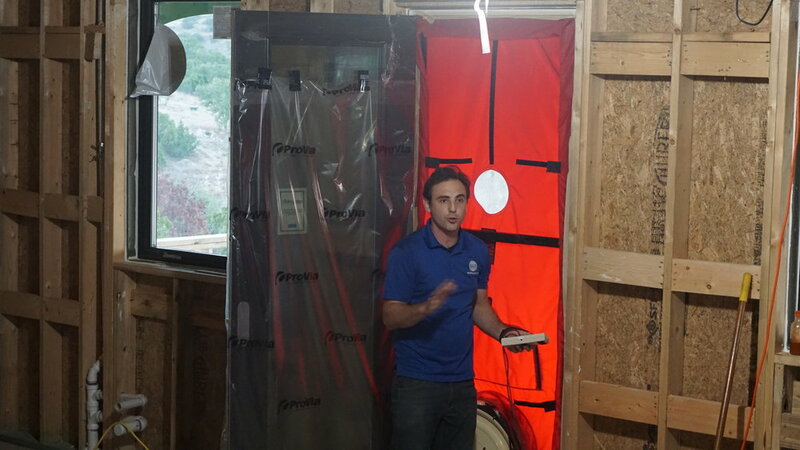 If you attended and didn’t get your CEUs taken care of, let us know and we’ll get you sorted out. Special thanks to Huber Zip for their generous support of the event! Those were some tasty seasonal local beers!